In our continued efforts to provide readers with as many diverse, different and interesting opinions we have decided to publish content from Wandile Sihlobo (with his consent) on our website. In this piece he takes a look at the global significance of the SA maize industry. In particular South African maize exports. ​Wandile Sihlobo is an agricultural economist and head of agribusiness research at the Agricultural Business Chamber (Agbiz) in South Africa. He is a columnist for Business Day and Farmers Weekly magazine. 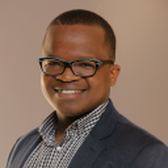 Sihlobo has previously served as an economist at Grain South Africa. He holds a Master of Science degree in Agricultural Economics from Stellenbosch University. Having spent the past three days in Bothaville – the heart of the South African maize industry — I feel compelled to say a few words about its global significance. Maize is the most important field crop produced in South Africa, so there is obviously a lot one can say about it. But my focus in this blog entry will be on trade. South Africa is an important player in the global maize market, ranked as the 9th largest exporter in 2017, according to data from Trade Map. The countries that performed relatively better than South Africa were the United States, Brazil, Argentina, Ukraine, Russia, France, Romania and Hungary. These countries collectively accounted for 88 percent share in 2017 global maize exports. South Africa accounted for roughly 2 percent of global maize exports. Most importantly, South Africa was the only African country amongst the top 24 leading global maize exporters. The leading markets for South Africa’s maize exports are typically Japan, Taiwan, Botswana, Zimbabwe, Swaziland, South Korea, Namibia, Lesotho and Mozambique, amongst others. These countries could remain the key markets this year. Spain – currently a leading buyer of South African maize in the 2018/19 marketing year – could be a new addition to the list if the volume of exports seen in the past couple of weeks continues over the coming months. This year’s maize exports are estimated at 2.3 million tonnes, down by 4 percent from the previous year.